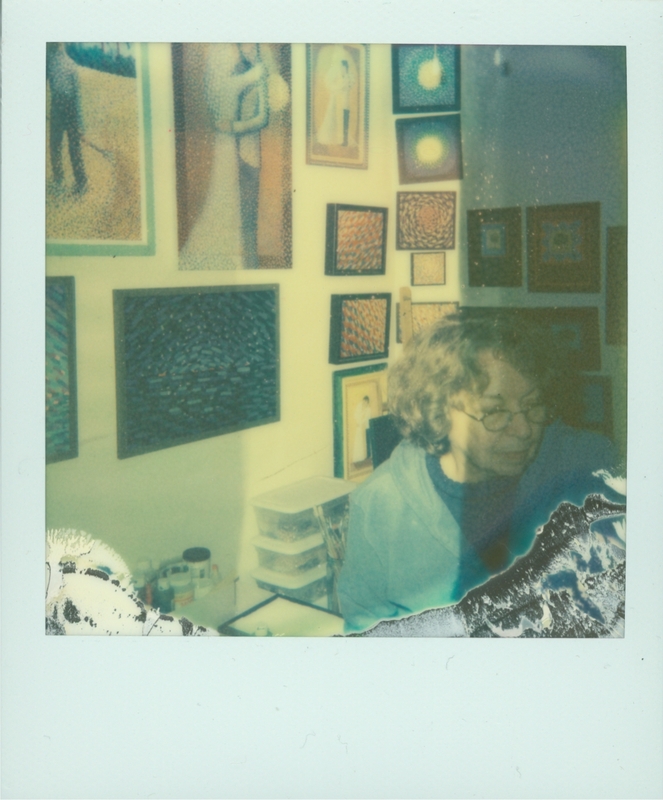 I took this instant photo of my mom the other day in her studio. This is the lady that got me started in life and art. I used Impossible Project film. Good stuff!